After falling off the mattresses, Creme continued her adventure in the guest room. Those who stayed or are going to stay in my guest room and don't want to know what happened, please look away now. Actually, it was nothing gross or destructive. 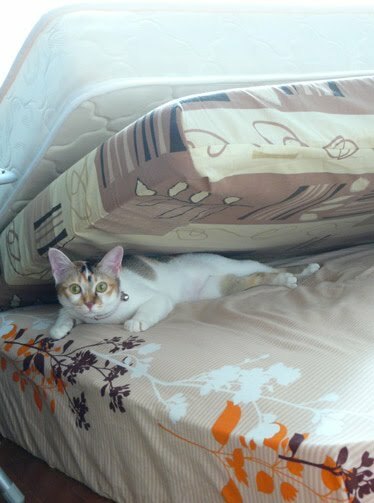 This time, Creme merely made the mattresses fall instead of her falling. 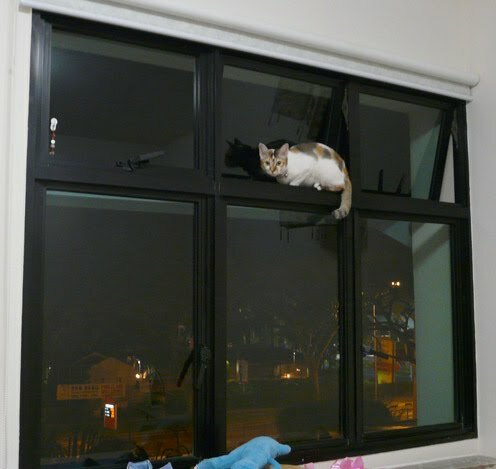 Perhaps it's her way of 'making the bed'. She napped comfortably on the fallen mattress, although she did look horrified (below) when I yelled at her for causing a mess. 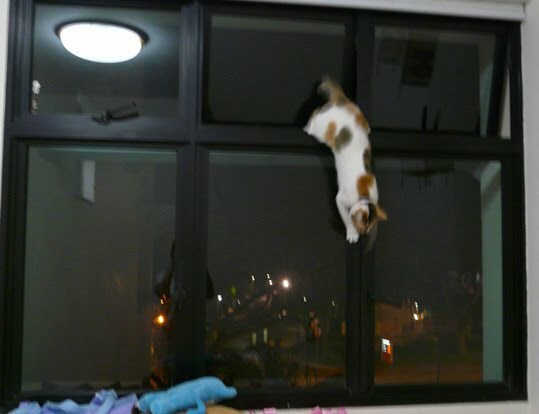 She also had several successful attempts jumping up to the top window opening, to breathe its offering of free flow fresh air. And had no sweat when descending from that height.